Bernie Sanders will change the course of American politics. By making clear what his moral positions are, he will lead the country away from three decades of failed right wing policies, providing a clear Democratic vision. 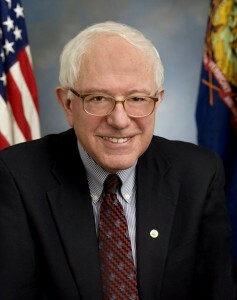 Today I’m endorsing Senator Bernie Sanders for president of the United States. Both candidates would make infinitely better leaders than any of the Republican choices. Both derive their positions from deep experience, both as executives and legislators. Both believe in a strong collaborative foreign policy as opposed to Republican isolationism. Former Secretary Clinton has amazing intellectual capacity. The many unfair attacks against her speak more about the character of those doing the attacking. She would make an excellent president. However, we need someone who will not lead us from the supposed center, but who instead will effect a tectonic shift of the center, who will have no truck with those who would settle for status quo. For over thirty years, America has been misled by Republican leaders to believe that public investment in infrastructure and government oversight is somehow wrong. The poisoned water in Flint Michigan was no accident, but the result of neglect. That same neglect threatens our food supply and the very air we breath. Thirty years of neglect of our school systems have caused teachers to walk away from an honorable profession, dividing our country into two classes- those who can afford a decent education, and those who cannot. If we want to put an end to that, someone must lead us away from the oncoming climate disaster, and from rule by religion that the Christian Right has enjoyed for too long. Mrs. Clinton would only hold the presidency, and lead from the current center. She seeks to build incrementally on President Obama’s policies. Mr. Sanders has an opportunity not only to capture the White House, but to establish a firm Democratic vision that will reform the party. In so doing he would take a wrecking ball, not to our infrastructure as the Republican leaders have, but to the failed Republican practice of allowing a good Fox News sound bite full of falsehoods dictate policy. America needs to begin to correct the damage that has been caused. That’s where the center needs to be, and that is where I believe Mr. Sanders will take us. 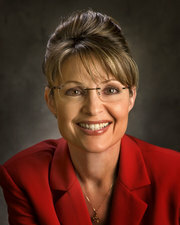 NPR’s Morning Edition today had a report on Governor Sarah Palin. Apparently she is taking a page from President Bush and carefully controlling media access. In other words: limited interviews, and no press access. What little press she has had has been bad. Between the ongoing investigation and her refusal to release her income tax records, one has to wonder if she really is ready for her current position of governor, much less that of vice president. One also has to wonder why the people of Alaska put up with this sort of behavior. Say what you will about Senator Biden, either through intent or incompetence, he has a long history from which we can judge (and have). This leads to the first rule of governing: you have to show up, and Sarah Palin is not. Worse, even when she makes statements they are plattitudes. Telling Americans not to question Israel is as destructive to the democratic process here at home as it is to Israel and her neighbors. We cannnot be an honest broker if we do not question all parties, and that is what the region needs most of all. Even the current administration recognizes the mistakes it has made. These were lessons that ought not to have been learned in office, and we certainly cannot afford for another administration to learn them again. He was doing just fine at his lovefest in the Twin Cities, but then Senator John McCain started talking about cutting taxes. As I wrote earlier, he was palatable because he was talking about the least offensive tax, a corporate tax cut. As he takes a more offensive position by generalzing cuts, especially in light of news like the Federal Highway Fund running out of money, now I’m giving Obama the win for the economy, and McCain loses personality points for pandering. How does one take the measure of an individual? 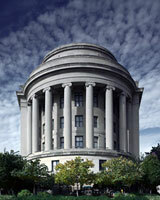 How will a person react under stress to unpredictable circumstance? President Bush was so unengaged that he probably didn’t know when he should have been feeling more stress. He failed to oversee little things, like the war in Iraq and the economy. One actually wonders what he did in the White House all of these years. But I digress. 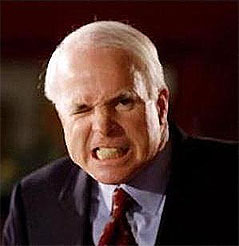 I am also deaply saddened by McCain’s resorting to negative campaigning, in spite of his protestations to the contrary. To me, negative campaigning is the loser’s last refuge, and here it is as if someone said to McCain, “Do you want to be known as a statesman nice guy loser, or do you want to win?” And he decided he wanted to win, damn his principles. While the practice has been executed flawlessly by Republicans, it should be noted that Democrats can play the game as well, as Senator Clinton did in the primaries. As distasteful as behaving this way in the general is, it is unforgivable in primaries, and Clinton violated what some call the Reagan Rule, named after the President who reminded members of his party who the opposition was. 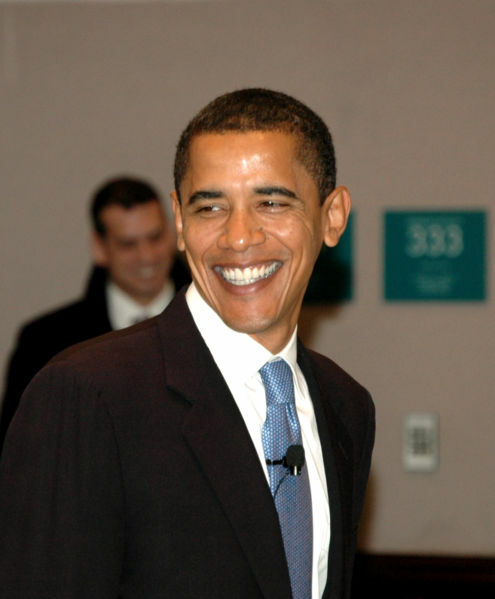 Barak Obama has done very little negative campaigning. He has another quality, however, that I like. He has stated openly that he is not an idealogue. He seems to take every situation as it is presented to him and responds appropriately. This makes him perhaps a more difficult public speaker because he can’t just blat out the one liners. It makes him unpreditable at times. His level of education wards off some of my concern about his unpredictability, and he is not inarticulate. This leads me to believe that Obama has better judgment and the appropriate personality for the job. I typically surprise many of my friends with just how fiscally conservative I can be at times. I believe for some reason that people should get the government they pay for, and no more. To me that means not running a deficit. One of the best things we can do for our economy is balance the amount of money we’re taking in versus what is spent. I do not suggest that this needs to be done on a year by year basis, but rather on a decade by decade basis. I do not believe in tax breaks for the rich, or even for the upper middle class. In the United States we have a creaking infrastructure, as I have previously mentioned. Our roads are in need of repair, our education system is in shambles, our health care system is reserved for the upper middle class who work, and we do not as a country save enough. To me that means we as individuals have to pay for all of these things somehow. Either we pay for them in our taxes or we pay elsewhere. If we pay elsewhere, often times those who cannot get left behind. In some of these areas I believe that to be bad policy. Where do the candidates stand? 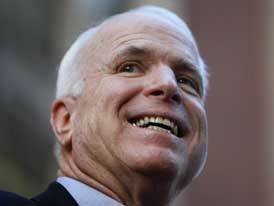 Senator McCain wants a corporate tax cut from 35% to 25%. As Republican proposals go, this one is pretty mild, and nearly heretical for a Reagan Revolutionary. Indeed according to Wikipedia at least, McCain generally prefers reducing the deficit to other forms of tax cuts. Recently, Barack Obama recently sat in a discussion next to Robert Rubin and said that at the time that he would not have been as fiscally conservative as President Clinton was. The problem with that statement is that it was at least in part that fiscal discipline that closed the budget deficit that itself caused interest rates to drop. His web site states that he would provide for a $10 billion foreclosure defense fund, and a $20 billion general stimulus package. At the same time he wants to cut taxes for the middle class as well as for senior citizens. 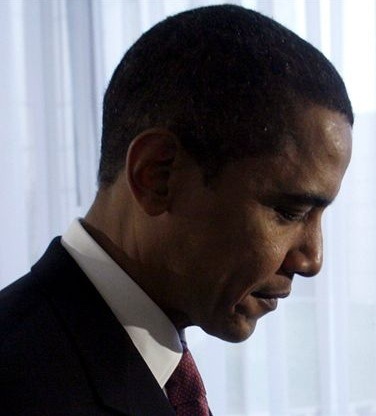 Once again, Obama does not say how he would pay for all of the programs he mentioned. I don’t have a problem with the programs, or even the bill for those programs. But he has to say how he is going to pay for those programs. Until I hear more details from Obama, McCain gets this round.